"currently only builds on windows, but getting it to build on macOS again & Linux should be doable with moderate effort"
Saw it ook kvr and very curious about the synth . Hope it can be build for Linux soon. Wow this would be amazing, it's a fantastic synth. Attracted a lot of attention after Infected Mushroom used in a video and said it was one of their go to synths. skei wrote: "currently only builds on windows, but getting it to build on macOS again & Linux should be doable with moderate effort"
Does this mean it needs code changes to build or that dependency packages aren't known? Really hope someone can make it happen, I'd be so happy to have this running natively, I use it in wine. so adjust as needed for wine/linvst/airwave to find it. i just quoted what i saw on the github page.. This has caused a lot of graphical bugs, with some that still need to be fixed. It currently only builds on windows, but getting it to build on macOS again & Linux should be doable with moderate effort. It claims it supports both VST2 and VST3 though, perhaps it'd be reasonable to skip the VST2 version on Linux since it's problematic anyway, and focus on VST3? Or do we have many containers that support VST2 and not 3? IIUC none of the open source vst3 hosts on linux support vst3 at this time. I'm not 100% sure about that though. Someone's been working on getting the code to compile on Linux. 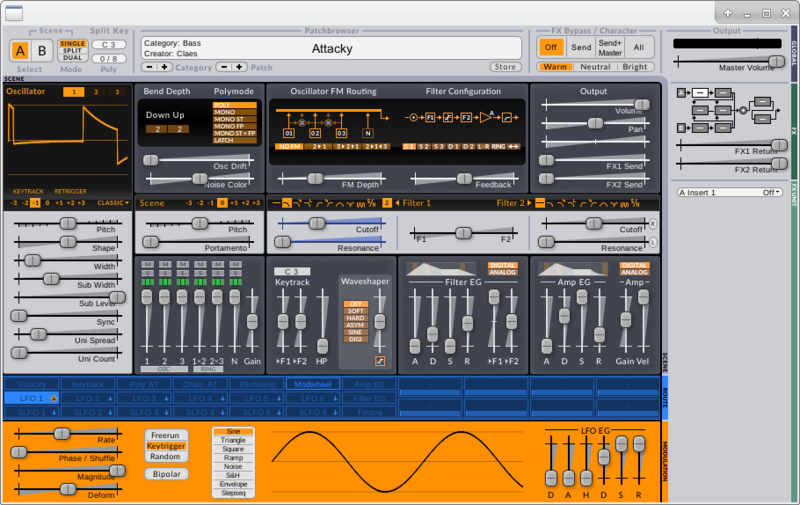 I've built the VST2 version for Linux but it won't instantiate in Bitwig or Ardour. The VST3 version fails to build, I'm still debugging the error. So there's a little more progress on this one. I haven't got sound from it yet. It won't instantiate in Bitwig in either VST3 or VST2, it crashed QTractor, and even though it appears in the supported list in Renoise I can't get it to load there either. Obviously there's still some distance to travel but the devs are doing good work. And apparently the redoubtable falkTx is working with them, which virtually guarantees good results. So there's some news about Surge for Linux. I can get the one from kxstudio repos working in renoise. ive just checked, build on archlinux and runs fine with carla . Great news! It needs Ubuntu >= 18, right? i think if you build it by yourself you only need things necessary to build. As i posted above, i successfully compiled it on arch linux.